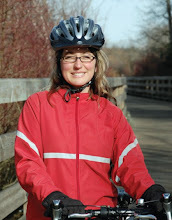 Lana Popham's 2009 Campaign: A Community Success! Next time you head to the grocery store bring a cloth bag. That's the message the Capital Regional District is packaging in an effort to reduce the number of plastic bags used around Victoria. Handing out almost 1,000 cloth CRD bags at its recent Hartland landfill open house, the district's environmental services department is following up on its campaign, asking residents to take a pledge to not use plastic shopping bags. In return, you'll receive a free CRD cloth bag in return. "Plastic bags end up in our landfills, our waterways and our harbours," Susan Brice, CRD Environmental chair and Saanich councillor said in a news release. A survey of more than 20 local grocery stores helped the CRD determine that about 25 million plastic bags are used every year in Victoria. "By refusing plastic bags, we can reduce consumption, stop plastics bags from entering our waste stream and practice good environmental stewardship." Asking residents to stop using plastic bags is a step in the right direction, said Saanich resident Lana Popham. A New Democratic Party MLA hopeful, Popham has been the driving force behind a campaign to have plastic bags banned in the region. "I'm really glad the CRD takes this seriously," Popham said. "It just drives home the message again that the plastic bag is a wasteful product and the more we keep the issue current the closer we are to solving the problem."